It is easy to see why Water Adventure is one of our most popular adventure camps! Campers spend one day at camp enjoying all the on-site water activities Tekoa has to offer. They quickly take their water adventures off-site to spend a day on the crystal blue water of Lake Jocassee. Campers will enjoy a paddleboard trip and campout on the shore! 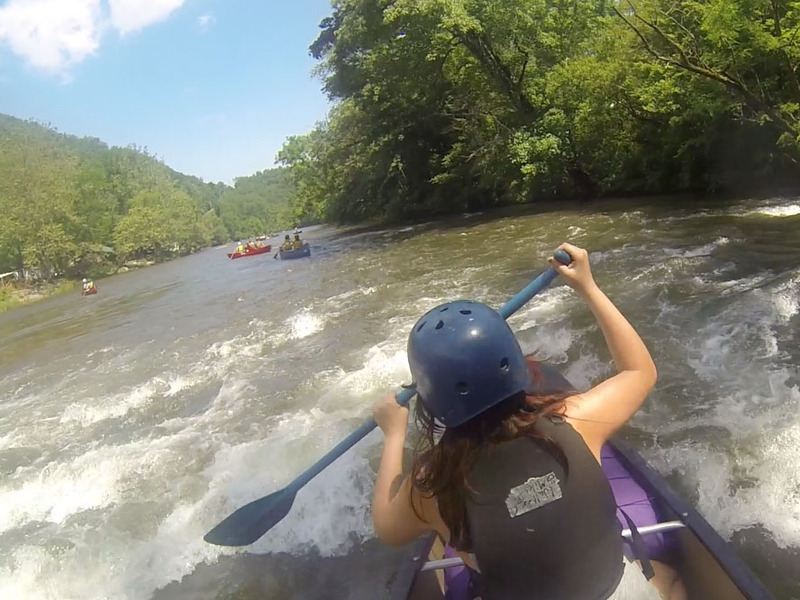 Campers will also go white water tubing and canoeing, and will also have a day waterfall hopping in Pisgah National Forest. Instructors spend time teaching about water safety, proper paddling techniques, and having a blast in the water! Check out theInfo Sheet for packing list, physical requirements and camp descriptions. Check your schedule on our Dates and Rates sheet. Click on Waivers to download the needed additional waivers for this camp. Check out a sample schedule with our Schedule.